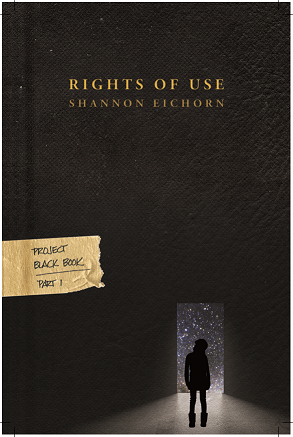 Rights of Use is in the process of being published via Astra Invicta LLC. Thirty years later, Project Black Book knows better and has the flying saucers to prove it, but they still can't stop the body-possessing Kemtewet from scooping thier pick of young women from Earth to host an alien queen. Sarah Anderson yearned for adventure and an escape from her parents and crummy PA--but not for this: being kidnapped by aliens and faced with a choice between having a Kemtewet queen erase her brain or sharing her body with a Gertewet insurgent. Unless the Air Force can rescue her in time, it's either death or a chance to make a difference in the galaxy, because with Sarah, the Gertewet have one last shot to end the Kemtewet Empire and free billions of humans subject to their body markets. If they don't, Earth will be lost. Many people have been instrumental in this book. Starting with those everyone thanks: my middle school gifted teacher for letting me try my hand at writing, my parents for putting up with me, my husband for not getting scared off. Deepest gratitude to my fellow camp staff, Katti, Chrissy, and Nate for acting out scenes and helping me research. Also to my college friends for their critiques, comments, and propensity to take "So... John." off topic. Thank you so much to Dr. Grimm and Anne Cecil for detailed feedback! Also to the Body Count Writers: Urvi, Samara, and Jess. Thank you, Michael, for sending my book through the shredder a few times and handing back the pieces. Rockefeller is all your fault. Draft 11 completed with final revisions and editorial feedback. New writing completed for the Draft 9 plot additions. Mothership design complete. Draft 7 rejected at Necro Publications. This was a long shot, as it wasn't a great fit for the publisher. But Necro was one of the few that might consider such a short draft. Draft 7 rejected at Post Mortem Press. This was another long shot, albeit a quality draft. (It would have been the last one, too, if I hadn't gotten two completely awesome plot ideas afterwards.) This was a poor fit for the publisher, but I had talked to him about it at Confluence 2012.